At Friendly Dodge Chrysler Jeep Ram, one of the most common questions our customers ask is which model has the best features? The truth is that every vehicle in our showroom is equipped with cutting-edge technologies. So, how do you decide which is best for you in terms of features? To help you and drivers all over Penn Yan, Geneva, and Watkins Glen choose the right car, we’ve created a bunch of detailed technology reviews. Each one includes tons of information about the cars in our inventory, so check them out to see which one has all the technologies you need for the road ahead. Finding your perfect, well-equipped, new car is easy with our technology reviews. Our experts have already done the research for you and compiled all data they found in these helpful guides. Every review you see on this page includes an extensive list of some of the most advanced options offered for our vehicles. We’ve created a review for every model in our showroom. That way, you’ll be able to see exactly which car has all the specific technologies you want and need for your rides. To help you make the most educated decision, we have also included details describing how each technology operates, so you can understand how each car can optimize your driving experience. What Makes Our Technology Reviews Special? Technology reviews are everywhere, but the aspect that makes ours so special is that they’re unique. With our reviews, we don’t just list the standard and available technologies. We truly want to help our customers understand all they need to know about our cars, which is why we provide tons of detailed information about each feature listed. Plus, rather than describe basic technologies every driver knows about, we take the time to research each model so you can get a better idea of what advanced features are available, what they do, and how they improve your overall experience. That way, you feel confident in your decision knowing that you had all the necessary details to choose the car that’s best for you. Check Out Our Tech Reviews Now! Technology is a huge factor in your car-buying decision. So, let our technology reviews help you find the well-equipped vehicle of your dreams. Click any one of the links on this page, and you’ll be driving through Penn Yan, Geneva, and Watkins Glen in your perfectly new and technologically advanced car in no time! 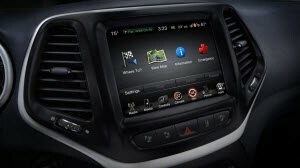 To learn more about the technologies offered in our vehicles or to schedule your test drive, get in touch with us at Friendly Dodge Chrysler Jeep Ram today!